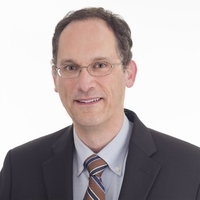 Bill Mannel is Vice President and General Manager of High-Performance Computing (HPC) and Artificial Intelligence (AI), for Hybrid IT, Hewlett Packard Enterprise. Bill joined HPE in 2014 and is a seasoned veteran of the servers and high performance computing industry. For Bill’s first three years at HPE, the HPC business grew significantly more than the overall market. HPE acquired Silicon Graphics International Corp. (SGI), a pure-play HPC company, closing the integration in November, 2017. At the Supercomputing 2015 show, Bill was named “Person to Watch in 2016” by HPCWire. Bill joined HPE from SGI, where he was the VP and GM for Compute and Storage products. Prior to SGI, Bill worked at NASA and the U.S. Air Force on aircraft programs such X-29, F-16, B-1B, and AFTI-111. Bill holds a Bachelor’s degree in Mechanical from Duke University and an MBA from California State University.